This 33 year old woman from Hampton Virginia was interested in a Mommy Makeover following her pregnancies. 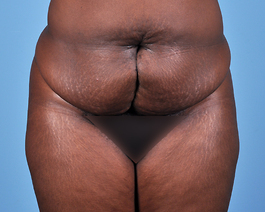 She wanted an abdominoplasty and removal of as many stretch marks as possible. 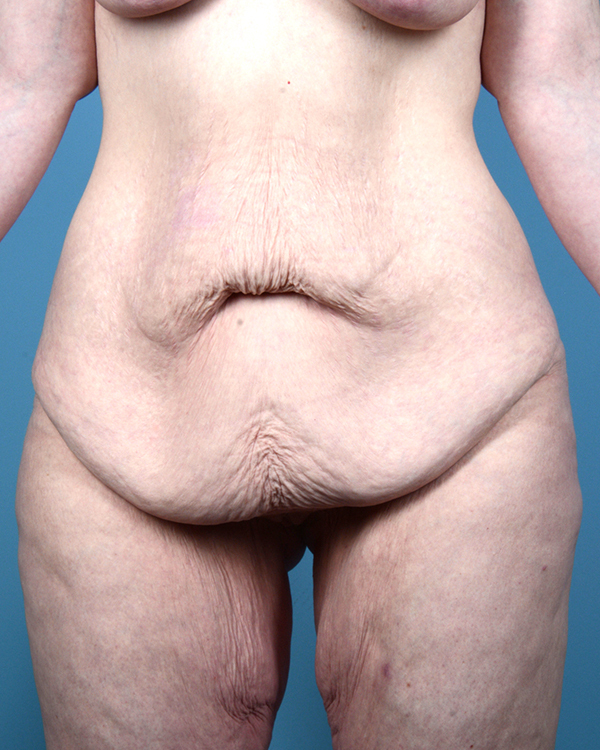 Because she was concerned with the scars resulting from a tummy tuck, I asked her to bring a bathing suit bottom the morning of surgery so that I could design her surgery to best conceal the scar. With careful planning, the longer scar would be low and hidden by her bathing suit bottom or underwear. In her after photos, we can see the lower scar is nicely hidden with her clothing. 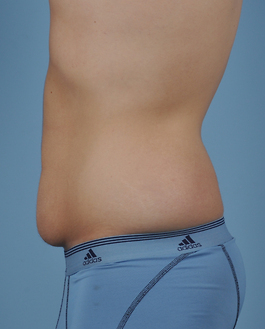 The scar around the belly button is partially hidden inside the umbilicus which was accomplished with extra time and suturing during surgery. Four days prior to her tummy tuck, she began her mommy makeover with a breast augmentation and full lift. These procedures were done on separate days to ensure the safest possible result. 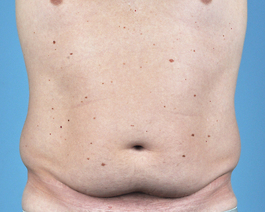 You can view her breast results in the Breast Augmentation with full lift photo gallery Web Case 420.